This week we have a huge, bumper edition of Geektown Radio! There have been so many events over the past few week, we had to double the length of the show just to fit everything in! We cover all the things we did at Star Wars Celebration 2016, all the news from San Diego Comic Con 2016 (SDCC), and the E4 #Staycation event, which launched all their Summer shows. We also have interviews with all 4 main cast members of the new comedy WASTED, which starts on the 26th July at 10pm on E4. Chat with co-host Matt about the latest shows we’ve been watching, and games we’ve been playing. A run down of all the news from Star Wars Celebration 2016. A look at all the news from this weekend’s San Diego Comic Con 2016 (SDCC). A preview of all the shows coming to E4 this Summer, from their E4 #Staycation event. Interviews with Dylan Edwards, Rose Reynolds, Danny Kirrane, & Gwyneth Keyworth – the cast of E4’s WASTED. As usual, all the latest tv air date updates, and a look forward to tv in the next 7 days in TV. 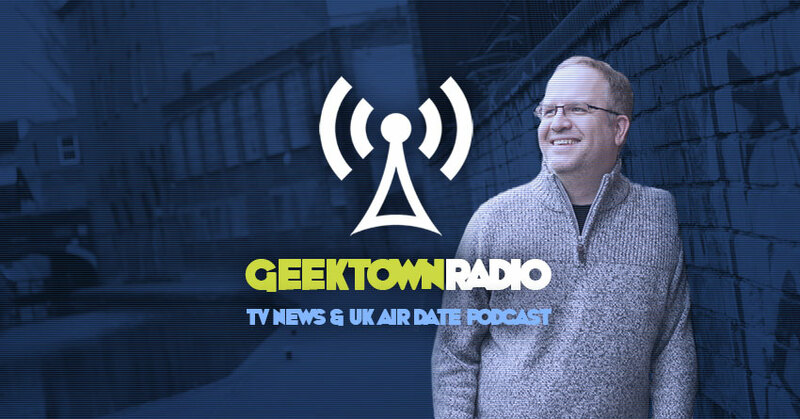 Geektown Radio : Episode 74 – Bumper Edition – Star Wars Celebration, San Diego Comic Con 2016, E4 Staycation event, Interviews With The Cast Of E4’s Wasted, plus UK TV Air Date Info!